So I’m steaming some frozen vegetables for lunch and I happen to notice some warnings on the bag. Apparently I’m supposed to make sure that whatever wattage my microwave oven is, the carrots get to an internal temperature of 165 F because cooking times may vary. Just how contaminated is the food supply that CARROTS, something I’m fond of eating raw, have to be cooked thoroughly to avoid food poisoning? There’s nothing on the package label saying “Warning: Processed in a facility that also processes wheat, nuts and weapons grade salmonella.” What are we doing now, just slaughtering livestock in the fields among the crops? And assuming anyone takes the warning seriously, how exactly do you check the internal temperature of a crinkle-cut carrot slice, anyway? Apparently I missed the As Seen on TV “Honey, I shrunk the temperature probe” device. Do they expect us to delicately slice the carrot slice in half and then quickly scope it with an infrared thermometer? Because I have one of those. I could do that. If I wasn’t so damn pissed off about how they managed to f*ck up carrots that I couldn’t hold the knife steady, that is. 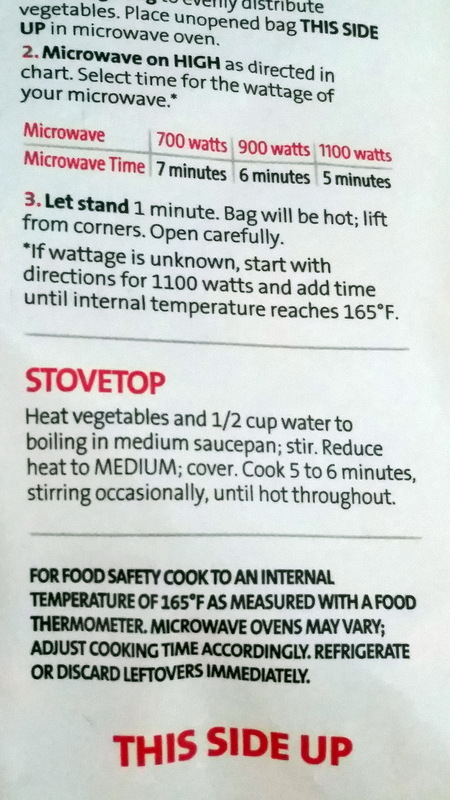 No, they want us to get that temp with a food thermometer if you believe the warning label. I have one of those too. The probe is 3/4 as wide as a carrot slice and half the diameter. These, then, are Quantum Carrots. You can observe them as carrots and not know their internal temperature. Or you can take the temperature but the resulting orange mush isn’t recognizable as a carrot when you are done. These were probably Einstein’s favorite food. I bet they are on the menu in the cafeteria over at Cern this very moment, and that the menu lists them as the “Higgs Rhizome”. I suppose I could reassemble a bunch of slices and stab the resulting Franken-Carrot down the center. Maybe that’s why they crinkle-cut them: so you can re-assemble them into a structurally stable faux carrot whilst attempting to take their temperature by impaling them en masse with a meat thermometer. Yes, I ate the carrots. No, I didn’t take their temperature. I’m an adrenaline junkie, living on the knife edge of Death by Carrot. This entry was posted in Clue train, General, Humor, Rant and tagged cluetrain, consumer, food, poison, rant, warning. Bookmark the permalink.